Waste is generated at every stage in the lifetime of a product and each time it undergoes processing – not only when the consumer discards it at the end of its life. From the sourcing of the raw materials (whether farmed or mined) to the manufacture of parts and products and their wholesale and retail sale, each produces waste. 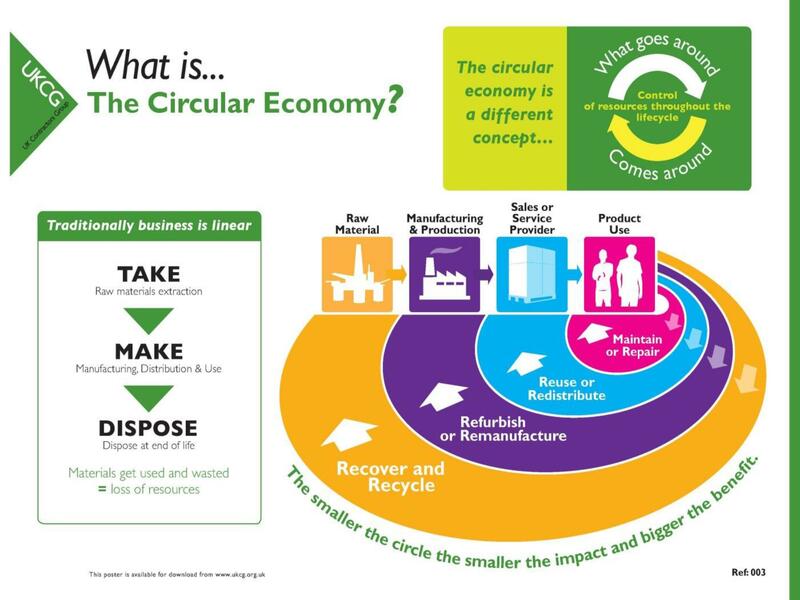 In the circular economy the by-products of each stage can be subjected to a number of other processes. Energy can be reclaimed from them or they can be taken to landfill. Each stage of the lifecycle produces more waste (which can include emissions into the atmosphere or water pollution) that can be incorporated into the system and reused.